Many major centers have embraced the revitalizing of downtown cores, Edmonton being a shining example. This article discusses the problem of the new donut, mainly the deterioration of the neighborhoods surrounding downtowns. I think Edmonton would be considered a leader in this area, with the neighborhood revitalization plan and the ongoing initiatives regarding infill and densification. I was just in Houston, and took a ride on their low floor LRT (which is expanding with more lines soon). If anyone spends time in that city, its worth a trip (all the good stuff there is out of the core). At one end, it runs through Midtown, Rice, Medical Center, past the massive football stadium for the Texans. Very nice neighbourhoods. At the other end from downtown, its like travelling through a zone that's been bombed out, there are burnt out buildings, etc, right on the border downtown, spots you would think are desirable given how close, but not because of the poverty (similar to 95 St in Edmonton I guess). I think LRT is good this way, as it opens up these neighbourhoods as a "possiblity" for people wanting an easy trip in and a cheaper place to live, it will be interesting to see if that part of Houston revitalizes with it. LRT, if aimed at the inner city as opposed to the far flung edge, can help stop the new donut (IMO), helping to fill the gap between the edge and downtown. We definitely need to increase density in our 'beltline'. ^I think its less about density, but more about recycling the neighbourhoods / making them more desirable to live in. Worst case scenario is the houses empty, especially as the bomers die off. 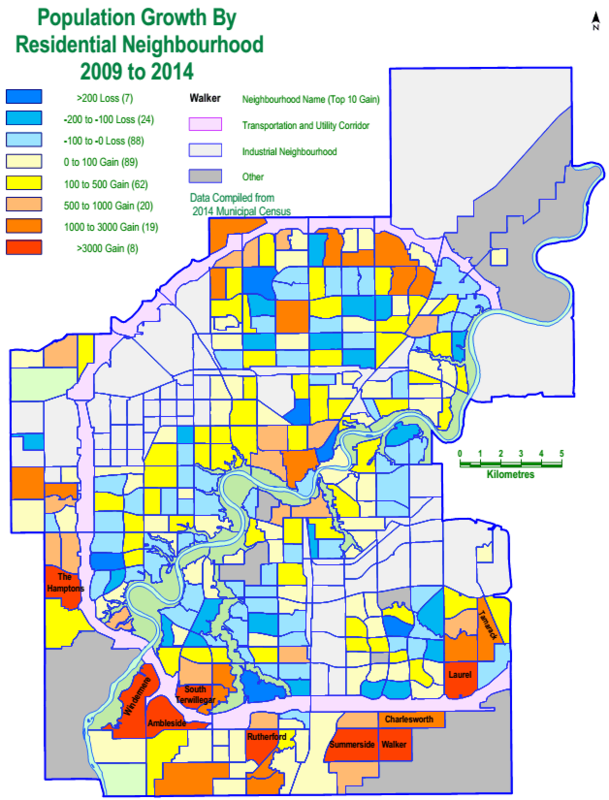 Edmonton has done better than a lot of cities, but not perfect. And, that "beltline" goes a long way, IMO all the way out to, for example, the inner parts of Castledowns. Those suburban neighbourhoods also have to rejuvanate and have new children come into them, if they aren't to decline. Thats a tough ask, as people seem to prefer new suburbs further out, than an older 1970/80's home that doesn't have hardwood, granite, etc. Absolutely. Too many people don't realise what it makes possible. Look at the happy, safe families growing up in a place like Tokyo, where train systems have enough customers that their lines actually pay for themselves, and there are shops on every block. Gee it would be nice if we could keep our schools open. Gee it would be nice if we had local shops in walking distance. Gee it would be nice if train lines paid for themselves. Actually not just wacked-out dreaming, but pretty much how much of Eurasia functions daily. Meanwhile, people need to use their neighbourhood amenities more actively. In many cases, they need to find out what amenities are in fact available within walking distance of their home and then decide to patronize those businesses. Use it or lose it. ^bingo. I have always said that we need to be tourists in our own neighbourhoods/city more often. Go out and explore, support and discover. Yeah. I believe people count on their neighbours to support their local businesses while they themselves drive to the bigger outlet stores to save a buck or two. Expecting people to spend more on a known, fungible good just because it's closer is a pretty outmoded business model & typically only works where there's something time-sensitive or perishable involved. There's a reason we see nail salons, coffee shops, cheque cashing, sandwich vendors, tattoo parlours & dentists offices (the ol' Strip Mall Six Pack), because they're retail that doesn't involve commodity & non-perishable goods. As more & more shopping is centralized (to big box & online), I am really wondering if we're doing ourselves a service by jamming in low value retail bays into everything. I can't argue with the Strip Mall Six Pack (good one). But three of those businesses you listed I would use regularly. I always think of the strip mall pub as an example of an amenity that is often overlooked. As an example, in my neighbourhood there is a specialty shop for model/train enthusiasts. Not something I'm into. But when I had a look around, turns out they sell those little balsa wood plane kits which are a big hit as loot bag filler. Funny you should mention hobby stores. I've got an unusual hobby (I build plastic robot/mecha/scifi models from Japan) that's niche enough to not have a lot of local support & the one store locally that does stock the stuff is so far out of whack in the pricing game it's nearly criminal. In the last year I've spent literally thousands on my hobby with under $100 of it locally, simply because it makes no sense to shop & support local. There's limited need for neighbourhood retail at existing density, for sure. Even at double density for many neighbourhoods. But if those inner-ring do maintain value, and are allowed to organically redevelop with more suites, duplexes, townhouses and small apartments there will come a time when there is demand for more than just a convenience store and a hair salon. I don't see, however, where there are "low value" retail bays being built in locations where the market doesn't justify them, at least as far as that inner-neighbourhoods are concerned. This is from another thread. You can start to see what the OP is talking about. ^which also backs up a little bit what I was suggesting. The biggest declines aren't so much the immediate inner city (aside from a few spots), but rather, older suburbs. I think a lot of these demands for densification or similar, aren't really thinking about these older suburbs like parts of Castledowns or just inside that, and how people could be encouraged back into them. The new neighbourhoods aren't so much eating into the inner city, they are eating into resales / recycling of more mature suburbs - which makes sense, people are choosing a new house in Windermere, over an older house in Riverbend, they aren't choosing it over a downtown condo or inner city infill townhouse. Last edited by moahunter; 16-10-2014 at 11:16 AM. The declines in those two areas are somewhat explainable IMO. Spruce Avenue: large lots, larger homes and high price for what many still perceive as a "rough area", which is false. I think many true "eastern inner-city buyers" are looking in Alberta Avenue and other areas for a similar experience without the $400,000 + price tag. The eastern inner-city is on it's way up, but $400,000 + is still a hard sell for a 1950's built home, people think about what they can get in other areas (suburbs or western inner-city). Boyle Street: Perhaps a loss of multifamily units due to quarters construction? I feel like it should have been an increase considering the completion of Boyle Renaissance. McCauley saw a +23.5 increase in population (perhaps shelters or other social housing being filled even more, perhaps not), so maybe it's just reallocation between the two areas? Tough to say. People want more interior space per person now than they did 50 years ago, but families are also smaller than they were 50 years ago, thus fewer people in each house. The value in places like Spruce Avenue and Goldbar is in the huge lots that offer potential for subdivision. The trouble is that there are still too many zoning restrictions on this and too many of the houses are still valued too highly to justify knocking them down. The houses will deteriorate and lose value over time, but the zoning needs to be changed now so that redevelopment opportunities are not lost. Last edited by Titanium48; 16-10-2014 at 12:09 PM. I'd say true in Spruce Ave, Not so much in Gold Bar. S.A. has greater redevelopment potential in the next 20 years, whereas Gold Bar has very little redevelopment potential. Each to their own of course, but I want less space than I used to. I had one room of my Tokyo condo built something like this, and having the whole space transform into a different "room function" in less than a minute was pretty eye-opening for me. How much physical space one body needs is really a tricky question for me. I can only be in one room at a time anyways, right? ^ I think though that generally speaking the trend is towards larger spaces. Or at least spaces that are designed to be more open. Especially when you are talking about families. In Gold Bar, the odd time when a house has been razed for whatever reason, they're not putting smaller houses on the lots, and they're not subdividing them either. When the 1400sf rancher gets demo'd a 3000sf two story will go in its place. I like the extra space in our new house. With two of us and two dogs it's more than we need, but the larger house and massive lot are a huge bonus. Many houses on our street have had additions put on them or a second story. I also had the experience of living overseas for a while and then coming back and deciding based on that (after having been made aware what I did and didn't really need in terms of space) that I wanted to downsize. The space issue combined with the fact that I'd become really used to being able to walk everywhere and living right in the thick of things inspired me to move downtown, and the rest is history. My current apartment would be thought of as quite spacious from the perspective of someone in Europe or Asia, though, despite the fact that it's much, much smaller than the house I sold to buy it. We're still quite "walkable" (I hate that term), being able to get most basics without driving, I would not have bought into a neighborhood that did not have that quality.. and I think that 's where the properties in the "donut" are well positioned... many of those donut neighborhoods are still very accessible, walkable plus have all the advantages a detached (or semi-detached) house has. Is that a result of demand or because zoning hurdles are making skinny detached, semi-detached or rowhousing less appealing to developers? The scale may be small, but even infrequent opportunities for densification can add up over time. That 1960's 1400sf rancher probably housed a family of 6. That new 3000sf two story often has 3 or less, half the density for that lot, school attendance drops by 75%, less demand at the local grocery store etc. and so goes the community density. The map shows a trend but also can be deceiving. A community like Summerside is two or three times larger than some of the mature neighbourhood communities. So a gain of 100 to 500 in an older community may not seem like a lot but times that by 3 and it becomes more significant. You also have to look at density. The mature neighbourhood may have 3,000 people/km2 and adding 300 more people yields 3,300/km2. An outer lying community may have gained 3,000 people but covers 4 km2 and had only 3,000 people previously and the net density may only be 1,500/km2, less than half of a mature neighbourhood.